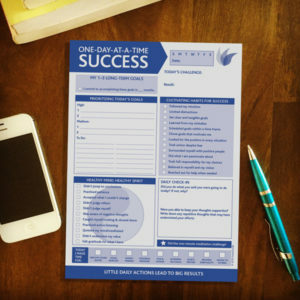 This simple daily notepad does more than help you set financial goals and track spending. It also keeps you organized, productive and balanced. 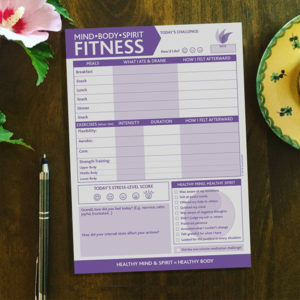 This effective, easy-to-use planning pad helps you take control of your spending and take care of yourself throughout your busy day. 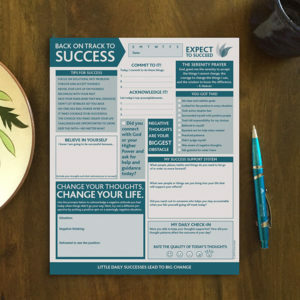 Using this pad will also help you develop greater self-awareness so you can make better choices that lead to healthier habits and a happier and more fulfilled you! 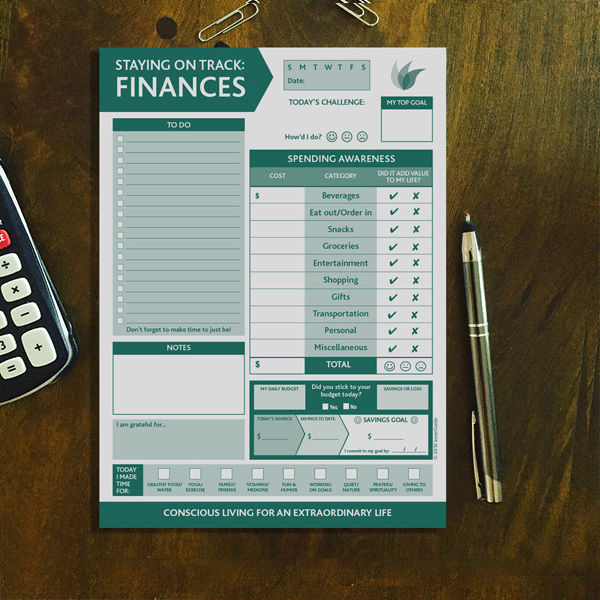 Boosts your motivation to save for something meaningful. 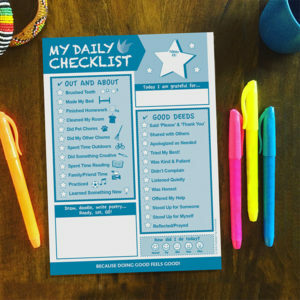 Promotes self-care to prevent burnout. 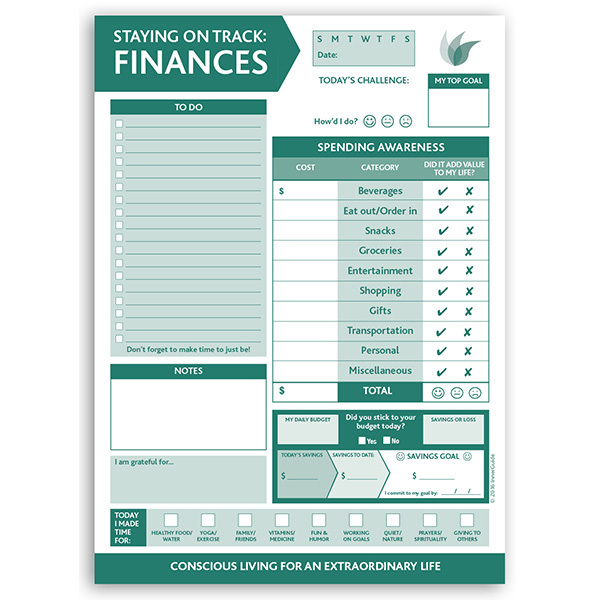 Helps you stick to your budget by encouraging conscious spending. Inspires you to live with more gratitude by focusing on the positive!